Unlimited chairlift and leisure centre access, golf, tennis and *bobsled rides. From Only $594 for the whole Family! 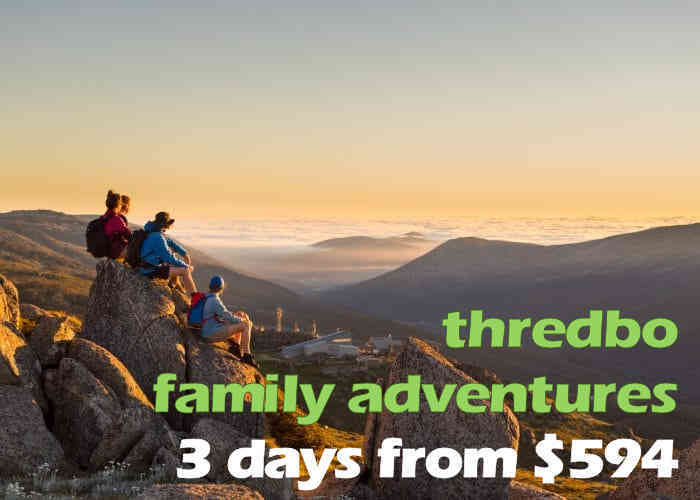 Adventure is what life is about and Thredbo has plenty to offer. High country hikes from the top of the chairlift, beautiful apartment accommodation in Thredbo with bonus leisure centre, golf, tennis and more. All included in this 3 for 2 package from only $297 per person. Even less for groups. 3 nights accommodation in a 1 Bedroom Patio apartment. 3 Day All mountain pass with unlimited chairlift, leisure centre, golf, tennis and bobsled rides. 3 Nights Accommodation and Adventure Pass! A 3 day MTB lift pass for the price of 2 days. Check out the exclusion dates below for events and some holiday periods. This is our BEST MTB DEAL!